A few weeks back, NCAA.com looked at the best long-range shooters in DII men’s basketball. While there were plenty of good athletes to choose from, one stood out amongst the rest. That’s Dalton Bolon. He scores 22.2 points per game for West Liberty, the top scoring team in DII men’s basketball at a whopping 104.8 points per night. He’s hit 145 field goals while shooting 48.2 percent and has hit 70 3-pointers at a 42.7 percent rate. That’s all the more impressive since he’s getting it done with one eye. Flash backward to the summer. Bolon is playing hoops in an open gym when someone swiped at the ball and hit his eye. The fingernails cut the eyelid, which had to be sutured back on, and there was nerve damage to Bolon’s eye. Since it was nerves that were damaged, he would have to wait a year for surgery. His choices were to play with an eye-patch all season or not play at all. But Bolon became more and more comfortable as he settled in. He took on the challenges and used that desire to stay on the court. That and a ton of reps in the gym until everything felt right. Then the season started. Bolon dropped 26 points on opening night, and 26 more one day later. By the time January rolled around, Bolon had scored 20 or more points in nine of his first 11 matchups. It looked like things were just fine in West Virginia. West Liberty is rolling and hasn’t lost since Dec. 9. The last time out, Bolon and the Hilltoppers took on Tommy Bolte and the Concord Mountain Lions. Not only was this a huge showdown between two conference rivals, but Bolon and Bolte are two of the most prolific scorers in DII. Bolte, who Bolon considers the best player he’s ever played against, had the better night with 39 points, but it was Bolon’s 3 with 19 seconds left that secured the 110-106 victory. Howlett praises his sophomore star for becoming a complete player, despite the obvious adversity he’s faced. 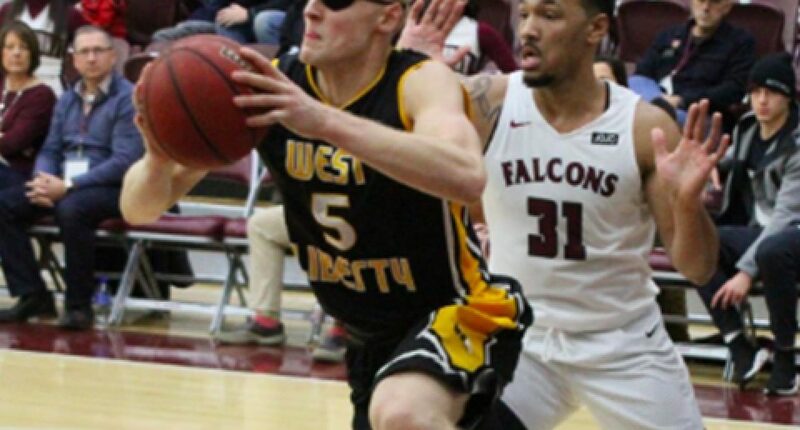 Known as a standstill shooter when he arrived on campus, Bolon is now multi-dimensional able to score inside and out, while becoming a force on the glass, second on West Liberty with 6.6 rebounds per game. But that doesn’t mean he hasn’t been challenged every dribble of the way. Despite the setback, Bolon’s improved his all-around game and is making a case for the MEC player of the year to follow up last season’s MEC freshman of the year campaign.